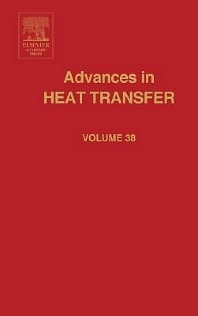 Advances in Heat Transfer fills the information gap between regularly scheduled journals and university level textbooks by providing in-depth review articles over a broader scope than in journals or texts. The articles, which serve as a broad review for experts in the field, will also be of great interest to non-specialists who need to keep up to date with the results of the latest research. It is essential reading for all mechanical, chemical and industrial engineers working in the field of heat transfer, graduate schools or industry.